We come across the term “Nirvana” in the context of Buddhism. Buddha is said to have attained nirvana in his thirties. He then lived actively to a grand age of 80, a rarity for his time. The null viewpoint is not based on any consideration. It is not assuming anything. It is not withdrawing or resisting. It is just looking. Nirvana is not a state, or a realm, or a position in which there is some sort of existence. There is no such thing as ‘entering into Nirvāna after death’. To realize Nirvana is to be ‘blown out.’ To realize parinirvana after death, is to be ‘fully blown out.’ The forces and energies that are manifesting as beingness are fully extiguished. Interesting. I like your essays. I read some of your comments elsewhere around on Geir’s blog, and some on ESMB, and some of your ideas i like, but some of them i feel like they invalidate my viewpoints. So i decided to try talking with you. I hope you will have some time. If i understood some things correctly, you think that the wholetrack implants that Ron described are not real, and that they are his dub-ins. ? For example, OT 2 GPM implant platens. I think that that happened for real. Since we are soo deeply entraped by this MEST universe, i think that these GMP implants (and lot of others) are real. I think they happened on the wholetrack line. Ok, on Geir’s blog i recommended to you and Geir (and to all others) to take a look at Pilot’s Cosmic History. And i still feel sad and bit invalidated that nobody acknowledged that, and that nobody looked at it. So, can you look at it? It is about 40 pages of great material about cosmic history. Way much better than Ron’s descriptions, and it is is written in Scientology style. I really believe that reading that you can have some new realisations and increase your understanding. And i would like to see your thoughts about that, if you will have some. Here’s the book. You will find there chapter Cosmic History. what i saw you also mentioned somewhere. And the idea about first implant we received immediately after we were separated from the “static”, the Jewel of Knowledge. Thank you, thetanforever. I am sorry that some of my ideas invalidate your viewpoint. I hope you can bring up the specifics here so we can discuss. I am sure we both will learn from such a discussion. I have no doubt that the wholetrack implants, which Hubbard talked about, were real to him. They would be real to anybody who believes in them. That is how considerations work. I just think there is a simpler explanation for what influences a person. In my experience, all such influences may be addressed much faster through LOOKING, as I continue to document in my essays. I am following the principes that Buddha recommended. Scientology works to the degree it follows those principles. I may look at Pilot’s materials but it is not a priority for me. Right now I am looking at KNOWLEDGE as a subject itself, and putting together an essay on it. I think that this communication, and more confront on my part are making that older disagreements less important. I looked at KHTKs yesterday and i liked it, and felt some relief. I looked at KHTK PDF files even before, half or year ago, but then i felt unable to use them properly, since i am lacking in persistence and will, or at least i feel so. I will try to study and use more of these KHTK exercises. The essays as visible on my blog are much more recent than what is on the pdf file. I hope to update the pdf file soon. Please focus on KHTK #1 only and do its exercises before you reply to my post. Those exercises should not take you more than 10 minutes. I would like to know how well those exercises introduce the concept of LOOKING. Your feedback is important to me. Based on such feedback I keep on updating these essays. Yes, i noticed that current versions of KHTK are revised (improved?). I do not think that my fedback on this can be precise enough. I tried exercises from KHTK#1, i think they are fine. I noticed that while looking my mind is giving meanings and purposes of things. Last days and months, i tried often looking at things, and i always experienced some relief when doing it. So i believe looking is workable. But i stil find hard to do things in sequence and finishing cycles of actions (like doing exercises). Ok. Maybe it is so. I checked that exercise (KHTK 8-3), and i am doing something very similar sometimes, it helps, but still i have some somatics restimulated everyday that wont give up so easily, maybe i need months and years of looking and working with such basic processes to blow these annoying somatics. And i am doing, almost everyday somee basic processes. I don’t do complicated processes because i cannot do them right. OK, I can help speed that up through guided looking. Write to me at my email address. I think that some encouragement and sharing theories from your side is useful enough. Looking at how Hubbard passed away, and how the Pilot passed away, I see an inconsistency in what they believed to be the route to enlightenment, and its effect on them. If I read their material, it would not be to follow their methods, but to find inconsistencies in their methods. It is only when all the inconsistencies have been ironed out, that the knowledge can be trusted. Maybe peope on this planet are not supposed to have superpowers (siddhis?). So anybody who is trying to attain superpowers becomes a target from those that are keeping this prison planet. I believe that both LRH and Pilot were killed because of that. (1) I believe that the past is not as important as the freeing up of attention. When the attention is freed up after looking at some stored information, then there is nothing more that needs to be done with that information. It’s usefulness is over. (2) When another person provides you with information as being from your past, then the first thing to realize is that it is not something that you retrieved from your own stored information. (3) Cosmic history is merely a suggestion that it is part of your stored information. Actually it is something that is being offered to you. It is not coming to you from your mind. (4) One should look at what the mind offers. One should not go about foraging into the mind though. (5) A suggestion given by another may bring up something in your mind. What is useful to look at is what the mind brings up, and not what is being suggested by another. (6) If a suggestion doesn’t bring up anything in the mind then it is better to simply ignore that suggestion. (7) So I may look at this Cosmic History just to see if it brings up anything intersting in my mind, and then to look at whatever comes up. Other than being a trigger Cosmic history has no use. Thank you for sharing this post, and ideas it contains. “Past lives” is not the problem. Giving it undue importance is! What is called “past lives” is primarily some stored information; and “stored information” is just that. No further significance needs to be attached to it. (1) The information is stored simply to keep the attention in that area. (2) The attention is fixed in that area because something related to it is unresolved. (3) It is unresolved because some necessary bit of information is suppressed and put out of sight. (4) You don’t know what you need to know to bring about the resolution. (4) The solution is to learn to LOOK per KHTK #1. (5) The stress should not be put on “regression.” The stress should be put on LOOKING. Thank you also for sharing this. I think these ideas are useful. thetanforever, my question to you is. “What comes up in your mind when you think of Cosmic History?” “Does it forward some kind of hope?” “Does it seem to resolve some mystery? Take an honest look at what your mind is bringing up in this area. I think there are few things that are very interesting to me in Pilot’s description of Cosmic history. The idea about first implant that we received. According to Pilot, the implant was like a tutorial, and some of the data that was presented to us there was intentionaly false. These implanted ideas from there are possibly the basics of abberations, and basics of enforced agreements (further implanting), and basics of inventing rules, etc. One idea form that implant is idea that beings must enforce agreement upon others when others do something against the reality. That idea led us to creating an agreed upon reality more and more solidly, so that nobody can destroy (alter) the reality (now known as MEST). And, i find this dramatized everywhere. CofS also dramatizes it. So the useful thing about this is knowing from where basic false data comes, and what is anatomy of it, and of course comparing it to everyday life and seeing real life dramatizations that comes basically from these ideas. And i see that your ideas of LOOKING are going in the direction of dispelling of that first implant. I find your ideas useful. Other reason why i like that Cosmic history is the idea that our basic purpose goes towards richness of creation. That is the urge of beings. The purpose is not to serve god, like presented in parts of religions. The purpose is not being nothing. The purpose is not being everytying. The basic purpose, according the Pilot’s ideas is the richenss of creation. And i find it very encouraging and hopeful. Also, the Hubbard’s book History of man is very confusing, and the Pilot’s Cosmic history is sorting out this confusion to some degree. “I think there are few things that are very interesting to me in Pilot’s description of Cosmic history. OK, the key idea here is that of an “implant” which seems to me like installing a permanent filter, and one is conditioned to look through that filter. This tells me that an implant will stay in place as long as one is not aware of it as an implant. As soon as one becomes aware of the implant it is no longer effective. It is as good as gone. Your use of the word “we” is interesting. Who is the recepient of the implant? Is there an entity that you are identifying as “we”? Could the consideration of “we” be an implant itself? Are you being given a tutorial by the Pilot? Who or what is receiving this tutorial? Is there a filter here of some ‘beingness” that you are looking through? OK, all these questions from me could be suggestive. Just be aware of their suggestive value and look at what comes up in your mind in response to these questions. Yes, there is some fun. And suggesting things like that is ok, like asking questions, without evaluations and invalidations (or using these minimally as possible). I see there are fixations on beingnesses, but i am not yet on a level to overcome that. Anyway thank you for asking these questions. I like your explanation about implant being an installed permanent filter. If you want I’ll be happy to guide you through a bit of Looking, until you can do it yourself. Write to me at my email address “vinaire@yahoo.com”. Hope you are well! The looking/understanding game is quite a hoot, huh? Please give my best to your wife, and y’all be happy and safe. It is great to see you here. We all are fine and doing well. Hope everything is going well for you too. Everything is well over here. Looking forward to seeing all the viewpoints in your blog. Great! My main search right now is to understand why the speed of light is constant in space. With regard to the subject, a reasonable approach is that one’s viewpoint is true. There can be no false ideas as everyhing imaginable is a creation of God, perceived by God. For example, one’s viewpoint in thinking that there are false ideas is accurate within one’s viewpoint. But any individual perception is not all there is to perception. So a way to look at life is everything is true, amd there is always more truth, always more to see, always more to understand. So long, of course, as one views into this place. How do you define God and truth? Are these absolute concepts? What are your viewpoints on God? Since so many of your arguments have been based on God (here or elsewhere), lets take a fresh look at that basis first, if you don’t mind. Let’s establish a baseline on this concept too before we use it in other arguments. One’s viewpoint can be consistent or inconsistent within itself or with its surroundings. I agree that a single isolated datum cannot be evaluated as true or false. It must be compared with other data to evaluate it. And even then, one cannot say which datum is true and which datum is false. But one can always say if there is inconsistency. There is the relativity of logic. The primary inconsistency that I see in your arguments is the introduction of seemingly arbitrary concept of God, and an assumption based on that concept that there can be no false ideas. It is always seeing through knowledge or wisdom (ŭāna-dassana), and not believing through faith. Compassion is deep awareness of the suffering of another coupled with the wish to relieve it. 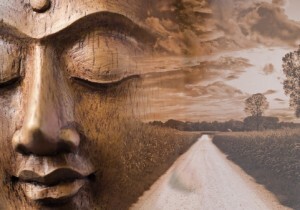 In my view the key to Buddha’s teaching is the understanding of mindfulness. That means being aware of what is there just as it is, moment to moment. This mindfulness itself relieves any suffering. In my view another key to the understanding of Buddha’s teaching is that everything is in a flux. Nothing is permanent. There is nothing that we can hold on to forever. We cannot hold on to the body. We cannot hold on to any idea or thought. We cannopt hold on to any perception. We cannot even hold on to the atman as there is no constancy even there. Once a person realizes that then there is nothing to be sorrowful about. I think, that compassion is built into the very teaching of Buddha, as that teaching, once understood, relieves all suffering. Nirvana results from a complete understanding of that teaching. The ultimate kindness that one can show is to impart that teaching, and this too is built into Buddhism. It seems funny but compassion and kindness emerges by itself as one follows the teachings of Buddha. Nirvana can be expressed only in negative terms, “What it is not,” because it is not something. “In almost all religions the summmum bonum can be attained only after death. But Nirvāna can be realized in this very life; it is not necessary to wait till you die to ‘attain’ it. “As long as one has not realized God, one should renounce the world, following the process of ‘Neti, neti.’ But he who has attained God knows that it is God who has become all this. Then he sees that God, maya, living beings, and the universe form one whole. God includes the universe and its living beings. Suppose you have separated the shell, flesh, and seeds of a bel-fruit and someone asks you the weight of the fruit. Will you leave aside the shell and the seeds, and weigh only the flesh? Not at all. To know the real weight of the fruit, you must weigh the whole of it-the shell, the flesh, and the seeds. Only then can you tell its real weight. The shell may be likened to the universe, and the seeds to living beings. While one is engaged in discrimination one says to oneself that the universe and the living beings are non-Self and unsubstantial. At that time one thinks of the flesh alone as the substance, and the shell and seeds as unsubstantial. But after discrimination is over, one feels that all three parts of the fruit together form a unity. Then one further realizes that the stuff that has produced the flesh of the fruit has also produced the shell and seeds. To know the real nature of the bel-fruit one must know all three. “It is the process of evolution and involution. The world, after its dissolution, remains involved in God; and God, at the time of creation, evolves as the world. Butter goes with buttermilk, and buttermilk goes with butter. If there is a thing called buttermilk, then butter also exists; and if there is a thing called butter, then buttermilk also exists. If the Self exists, then the non-Self must also exist. MASTER: “The company of holy men, repeating the name of God and singing His glories, and unceasing prayer. I prayed to the Divine Mother: ‘Mother, I don’t seek knowledge. Here, take Thy knowledge, take Thy ignorance. Give me only pure love for Thy Lotus Feet.’ I didn’t ask for anything else. MASTER: “This world is the līlā of God. It is like a game. In this game there are joy and sorrow, virtue and vice, knowledge and ignorance, good and evil. The game cannot continue if sin and suffering are altogether eliminated from the creation. Out of a hundred thousand kites, at best but one or two break free; And Thou dost laugh and clap Thy hands, O Mother, watching them! MASTER (smiling): “Please tell me who you are. God alone has become all this-māyā, the universe, living beings, and the twenty-four cosmic principles. ‘As the snake I bite, and as the charmer I cure.’ It is God Himself who has become both vidyā and avidyā. He remains deluded by the māyā of avidyā, ignorance. Again, with the help of the guru, He is cured by the māyā of vidyā, Knowledge. “Ignorance, Knowledge, and Perfect Wisdom. The Jnāni sees that God alone exists and is the Doer, that He creates, preserves, and destroys. The vijnāni sees that it is God who has become all this. I think that the balance is achieved by resolving inconsistencies and incoherencies as one comes across them. There is always more balance. I like the equilibrium of balance as that helps resolve paradoxes of living such as should I turn the other cheek if someone is actively harming me. The balanced answer being no, one needn’t suffer needlessly at the hands of another and that one may defend oneself without feeling anger or hatred while doing so. This type of paradox generated by the Christian “turning the other cheek” paradox. In the same way, Gandhi “turned the other cheek” and sent the destructively superior British Army packing in the only way that it could be defeated in that scenario through non-violent resistance. The Indians took a lot of cracked skulls but avoided a major slaughter by taking the oblique angle rather than a going directly at the British war machine. Yup! Simply resist the harmful force as it comes towards you, without retaliating harmfully. MASTER: “The Jnāni reasons about the world through the process of ‘Neti, neti’, and at last reaches the Eternal and Indivisible Satchidananda. He reasons in this manner: ‘Brahman is not the living beings; It is neither the universe nor the twenty-four cosmic principles.’ As a result of such reasoning he attains the Absolute. Then he realizes that it is the Absolute that has become all this-the universe, its living beings, and the twenty-four cosmic principles. MASTER: “If there is butter, there must be buttermilk also. If you think of butter, you must also think of buttermilk along with it; for there cannot be any butter without buttermilk. Just so, if you accept the Nitya, you must also accept the Lila. It is the process of negation and affirmation. You realize the Nitya by negating the Lila. Then you affirm the Lila, seeing in it the manifestation of the Nitya. One attains this state after realizing Reality in both aspects: Personal and Impersonal. The Personal is the embodiment of Chit, Consciousness; and the Impersonal is the Indivisible Satchidananda. This very world is a mansion of myrth; Here I can eat, here drink and make merry. O physician, you are a fool! You see only the surface of things. Janaka’s might was unsurpassed; What did he lack of the world or the Spirit? Holding to one as well as the other, He drank his milk from a brimming cup! It seems that the wisdom of the ages resides at the core, the basic essence of many religions before the considerations pile on. As I see, he is basically talking about mindfulness here. ‘Neti, Neti’ leads one to the recognition that absolute does not lie in the realm of awareness. Anything that one can be aware of is relative only. This realization then helps one look at is-ness without getting fixated on any one thing as absolute..
And conversely, recognizing the Groundhog Day type cartoon loop that seems to represent the cycle of everything helps to accept what one is seeing as real even when one might wish for a different reality. Existence cycles and these cycles are similar if not identical. The process of recursion makes us think change is not occurring and that man cannot learn because he repeats his catastrophic mistakes. However, the self-similarity as opposed to being identical events helps us see that indeed there is movement away and vectors away from the way things are and thus there is evolution. Our physical world and our temporal life does change, and change toward every possibility. Sort of refreshing to acknowledge that and non-worrisome at the same time. Yup! It takes the worry away. For a human like me, the world around me is such a perfect mix of mystery and knowledge – exquisite. This universe to me is like the Wonderland of Alice. MASTER: “You must stick to one path with all your strength. A man can reach the roof of a house by stone stairs or a ladder or a rope-ladder or a rope or even by a bamboo pole. But he cannot reach the roof if he sets foot now on one and now on another. He should firmly follow one path. Likewise, in order to realize God a man must follow one path with all his strength. I am not figuring things out this week. I am practicing what I have learned. Feeling good and hoping to have a chat with you soon. Just send a message whenever you want to chat. “Hindus, Mussalmans, Christians, Saktas, Saivas, Vaishnavas, the Brahmajnanis of the time of the rishis, and you, the Brahmajnanis of modern times, all seek the same object. A mother prepares dishes to suit the stomachs of her children. Suppose a mother has five children and a fish is bought for the family. She doesn’t cook pilau or kalia for all of them. All have not the same power of digestion; so she prepares a simple stew for some. But she loves all her children equally. “Do you know what the truth is? God has made different religions to suit different aspirants, times, and countries. All doctrines are only so many paths; but a path is by no means God Himself. Indeed, one can reach God if one follows any of the paths with whole-hearted devotion. Suppose there are errors in the religion that one has accepted; if one is sincere and earnest, then God Himself will correct those errors. Suppose a man has set out with a sincere desire to visit Jagannath at Puri and by mistake has gone north instead of south; then certainly someone meeting him on the way will tell him: ‘My good fellow, don’t go that way. Go to the south.’ And the man will reach Jagannath sooner or later. “If there are errors in other religions, that is none of our business. God, to whom the world belongs, takes care of that. Our duty is somehow to visit Jagannath. (To the Brahmos) The view you hold is good indeed. You describe God as formless. That is fine. One may eat a cake with icing, either straight or sidewise. It will taste sweet either way. Maybe I will become a Hindu next, but only if I can learn and use the cool face paint. LOL! You may invent your own face paint. MASTER (to Vijay, smiling): “I understand that they have been finding fault with you for mixing with those who believe in God with form. Is that true? He who is a devotee of God must have an understanding that cannot be shaken under any conditions. He must be like the anvil in a blacksmith’s shop. It is constantly being struck by the hammer; still it is unshaken. Bad people may abuse you very much and speak ill of you; but you must bear with them all if you sincerely seek God. Isn’t it possible to think of God in the midst of the wicked? Just think of the rishis of ancient times. They used to meditate on God in the forest, surrounded on all sides by tigers, bears, and other ferocious beasts. Wicked men have the nature of tigers and bears. They will pursue you to do you an injury. “One must be careful about these few things. First, an influential man who has much money and many men under his control. He can injure you if he wants; you must be careful while talking to him; perhaps you may have to approve what he says. Second, a dog. When it chases you or barks at you, you must stand still, talk to it gently, and pacify it. Third, a bull. If it runs after you with lowered horns, you must calm it with a gentle voice. Fourth, a drunkard. If you arouse his anger, he will abuse you, naming fourteen generations of your family. You should say to him: ‘Hello uncle! How are you?’ Then he will be mightily pleased and sit by you and smoke. And thus we practice mindfulness. When is one is being mindful, one does not have to worry about whether one is evaluating or not, because one is always “evaluating” in terms of seeing what is there. One should only be concerned about how correct that evaluation is. The less filters are there, the less incorrect one’s evaluation would be. Yes, Bible tends to be pretty negative about human nature, and so does Scientology. You get what you put your attention on. MASTER: “The hathayogis identify themselves with their bodies. They practise internal washing and similar disciplines, and devote themselves only to the care of the body. Their ideal is to increase longevity. They serve the body day and night. That is not good. My feeling is this statement by SRI RAMAKRISHNA is a mistake and inconsistent with the earlier text admonishing one to follow their own path be it formed or formless. He was talking about form and formless with respect to the consideration of the ultimate reality. Ah, well then the language lets us down. There is only language for form and then there is language for the form that there may be no form, or as you say the conjecture which is “a placeholder.” Quite simple really. Our existence no longer seems to me any kind of paradox but rather a tautology. Neti neti takes us in the opposite direction of tautology, it seems. These are both useful to me. Seeing things as they really are implies an acquiescence to accept what is really there rather than what one desires, assumes to be there. In my view, neither form (physicality) and nor formlessness (spirituality) can exist without the other. As usual, I now express my opinion that spirituality has form, even if only mental forms. In your context, yes, we have both firm and soft forms, but in a more universe swallowing way, all is form., though I understand your points. What form does Scientology Static have in your mind? We do have the word nothing and it is a conjecture, a knowledge a priori and not a posteriori. Static is not an absence of awareness. Static as in 0 Kelvin is not an absence of awareness? In this universe, and that is all I know about, I am going to hazard a guess and say that I think it is. There may be beings or beingnesses as analogous to our own beyond what we know, but I do not know about these. The static of Hubbard was the individual essence of an individual, I think that individual awareness as we know it is quite fragile and only survives in the temperate zones. 0 Kelvin is a theoretical limit of no motion. It has never been achieved. It is not achievable either as long as there is substance. So, complete absence of motion does not exist in this universe. Complete absence of relative motion would also mean absence of awareness because awareness exists only when there is relative motion. Hubbard’s idea of Static is theoretical and pulled out of thin air, because the true absolute Static would be devoid of not only motion, but also of any potential of motion or ability. Maybe but I do not think so. For me, to use this analogy of irrigation canals, mindfulness is the paving within the canal which preserves the water without caving into the dirt banks. The holes seem to be lack of mindfulness. Mindfulness helps us not fight our desires but acknowledge them, embrace them, smile at them without being in conflict with them. Conflict is the root of suffering. A man should first become at peace with himself, then he will be at peace with the world. All the practices may melt away leaving shining mindfulness in its place. That is excellent, Chris. You are now becoming mindful. I’m not sure from this text if SRI RAMAKRISHNA is recommending austerity or ascetism, but harsh or severe practices can possibly replace other fleshly desires in simply another vector. One should live a full, rich, and vigorous life and practice mindfulness; seeing all, knowing all, embracing all. Mirrors are man’s metaphor for existence. All he is saying is that don’t get distracted by lust and greed. But yes, mindfulness is the undercut to balance. One cannot get hung up on things being a certain way, paths being a certain way, rules being a certain way. This leads to unbalance through lack of mindfulness. I do not understand your meaning. Is there an inconsistency in my words? “That is how I see it” simply means that I agree with you. Interesting to consider how much distraction is “distracted.” No attachments = no distractions. Does this consideration bring us back around to the subject of balance? I think so. Anything that distracts one from Mindfulness is the distraction that needs to be addressed immediately. Human existence is attachment. That’s an example of seeing things as they are and not only as they seem to be. But existence is not only suffering but also joy as well. Balance brings an equilibrium to life and makes the trip sustainable. Possibly we could say that unbalanced attachments bring about the most distractions. Mindfulness sees suffering as suffering and joy as joy without any filters. I went to “meet the teacher” yesterday afternoon at my youngest son’s school. On her wall were a reasonable set rules for conduct but at the top was written in big letters, “The Measure of One’s Integrity Is to Obey Even When One Disagrees.” Surrounding this were many conditioning tools of patriotism, Pledge of Allegiance, etc., I was surprised to read something so illogical pasted at the top of that list of rules. My children are trained to follow rules and keep the peace, to cooperate, but to always think their own thoughts and to be on guard for conditioning language, even when that conditioning is from myself. I am for an orderly classroom, etc., but I plan to develop some rapport with my son’s teacher and then bring up this false, blatantly false premise. My father taught me to listen to everyone but to do what i think is right. I have done that naturally all my life. I did that even when I was in Sea Org. I was ultimately deemed unfit for Sea Org because I could not be conditioned. Your son’s teacher simply does not know any better and that is not her fault. She needs to be somehow introduced to mindfulness. I like your idea better. I was going to bridge the subject socially and then not overwhelm her but nudge her to understand that I was in disagreement and eventually let her know not to teach my son in that way. Your idea is better, but I stick at how to begin. Make a copy of 12-aspects of Mindfulness and show her how the slogan on the wall seems to disagree with it. Ask her rationale behind what she has put on the wall.